This year’s Banned Books Week is almost over – but there’s still time to learn about it, and to get your hands on a dangerous book. Here’s the low-down on what the week is all about, where you can find more information, and what you can do to get involved. Artwork courtesy of American Library Association. 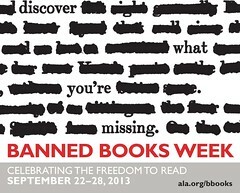 Banned Books Week is a 7-day event organized every year by the American Library Association to promote wider awareness of censorship and intellectual freedom. Basically, you have the right to read books of all kinds, and librarians, teachers, journalists, and other folks across the country want you to have access to those books. When schools, communities, or individuals attempt to restrict access to books by banning or censoring them, that makes us very unhappy. You might think book banning is a thing of the past, or something that only happens in dystopian novels, but people attempt to take books off shelves even now. 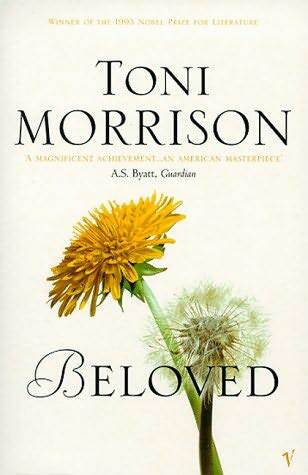 For instance, just this month a school board in Ohio tried to remove Toni Morrison’s The Bluest Eye from curriculums, claiming that its content was pornographic and unsuitable for school-aged children. According to the ALA, between the years 2000 and 2009, there were a reported 5,099 challenges to books in the United States. Banning books is a very real phenomenon. If the idea of being denied the right to choose what you read riles you up, what can you do about it? 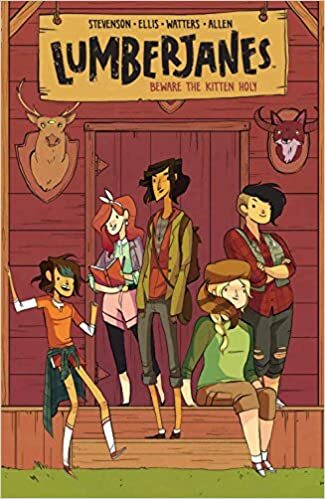 For starters, you can read our blog post from last year on the subject, or visit the official Banned Books Week website to get broader information about book challenges in the United States. If you want to know whether there have ever been book burnings at UIUC – your friendly neighborhood QB has the answer to that. You can find an event to attend, or stage your own virtual read-out where you record yourself reading aloud from a challenged book. Possibly the most enjoyable way to celebrate Banned Books Week is to check out a banned book from the library and be happy that in most cases, attempts to remove books from shelves are unsuccessful. The ALA released a list of the 10 most challenged books of 2012 – and wouldn’t you know, all of them are available to you from your own UIUC library. 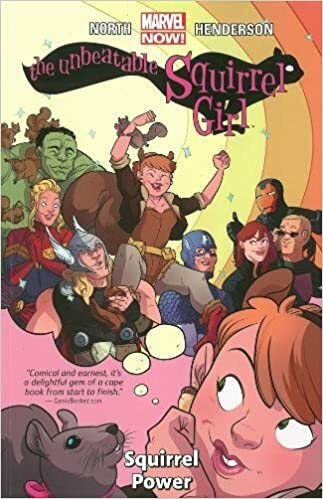 Click on a link below to be taken to a book’s page in the catalog, where you can request it and then take it home with you. If those top 10 books don’t float your boat (or if you’ve read them all already! 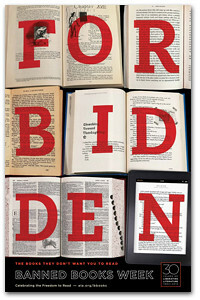 ), you can also peruse the UGL’s banned book suggested reading list or our banned book Pinterest board. Have a favorite banned book that you don’t see on any of these lists? Mention it in the comments so others can share in the enjoyment of the free exchanged of ideas. However, not all people agree that unlimited access to information is a good thing, especially when it comes to children, high schoolers and even some college students. For decades, parents, community groups, school advisory boards and individuals have challenged various books and their places in classrooms and libraries. Claims of exposure to inappropriate material, counter-culture ideas, anti-religious sentiments and explicit language or sexuality have all been raised as reasons to keep students from reading certain books and publications. This isn’t a thing from the past, either… Books are still routinely being challenged and banned today. Take a minute this week to reflect on some of your favorite books—from childhood, high school, college—it doesn’t matter. Then, check out some of the lists (including challenged classics, lists by decade, and challenged authors) of most commonly banned and challenged books. What you find might surprise you. How many banned books have you read? Tell us in the comments—we’d love to hear from you! Coming Thursday: A list of the UGL graduate assistant’s favorite banned books.